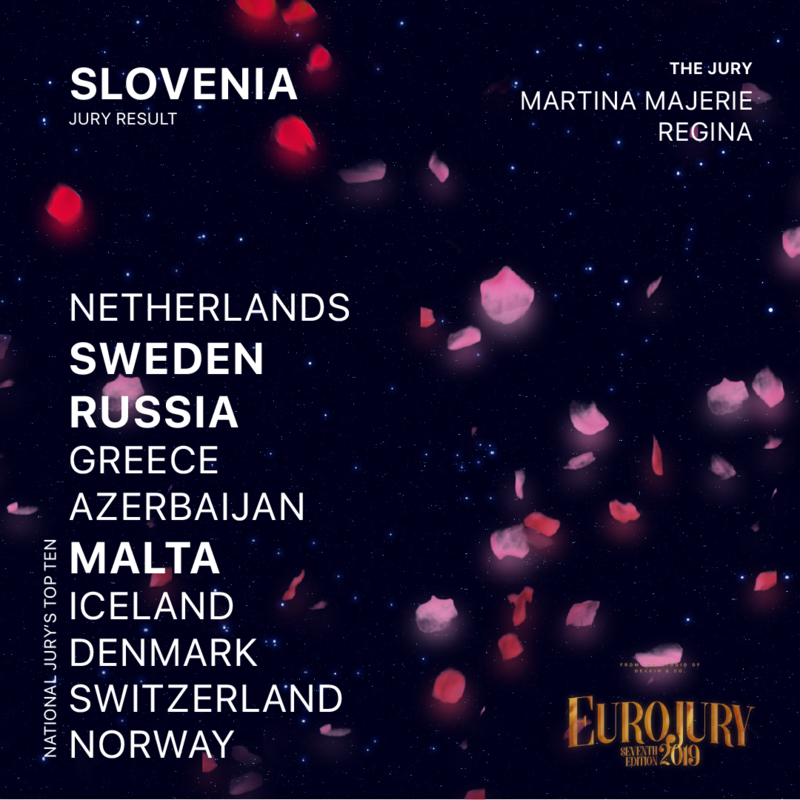 After Portugal, we head to Slovenia, with the seventeenth jury to reveal their results in Eurojury 2019. As ever 50% of the vote is being decided by national juries and 50% by you, the public. This creates the most accurate representation of a result likely to be seen in the final of the Eurovision Song Contest this May in Tel Aviv. Each voting nation is represented by a jury consisting of past Eurovision, Junior Eurovision and national final participants. Each juror is asked to form a top 10 ranking of their favourite competing songs which is combined with the other jurors in their country. The results of the Slovenian jury are shown above. The countries highlighted were among the top three, meaning they scored 8, 10 or 12 points, while the remaining nations scored between 1 and 7 points. The exact ranking of the songs received from the jury will not be revealed until April 20th, during an hour-long broadcast hosted by Alice Chapman and the BBC’s Rob Lilley. The jury have had their say and their points have been counted, but you still have the opportunity to influence the result, with 50% of the say in who wins Eurojury 2019. The online vote is open until midnight on the 13th of April, when the counting starts and your points will be combined with those of the jury. 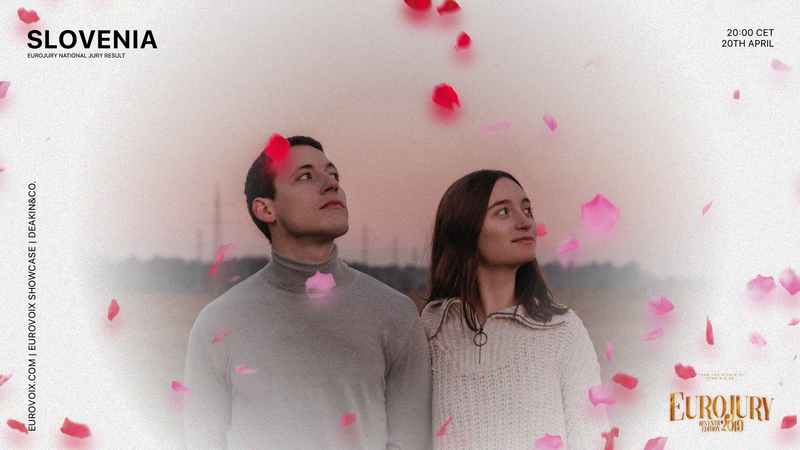 Filming for Eurojury 2019 began last November in Minsk, with additional dates in Stockholm, Newcastle, and Yorkshire over winter. Filming continued last weekend, before heading to London on 14th April to coincide with the London Eurovision Party. Eurojury takes place live via Eurovoix Showcase on 20th April from 20:00 CET and can be viewed worldwide.